Do you love (and hate) professional wrestling? Are you a self-proclaimed "MARK", and proud of it? Would you prefer spending 90 minutes lost in the absurdity of Sports Entertainment debate rather than doing anything productive with your day? Are you sick of answering questions? ON THE MARK is your place for all the above, and then some. Your hosts, Daniel & Andy, come from the entertainment industry. As filmmakers and actors, they understand the art of storytelling, and admittedly view pro wrestling from this perspective. As products of the 90's and Attitude Era, the duo are jaded by the current generation, but are always open minded to current story-lines, hoping for the best from this beloved, often misunderstood art form. 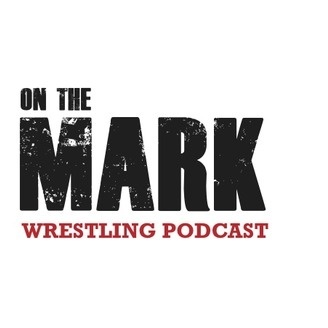 Join Daniel Tanoukhi, Andy Blike and their moderator "Mr. Android Man", as they discuss, debate and hate on the past, present and future of Professional Wrestling.